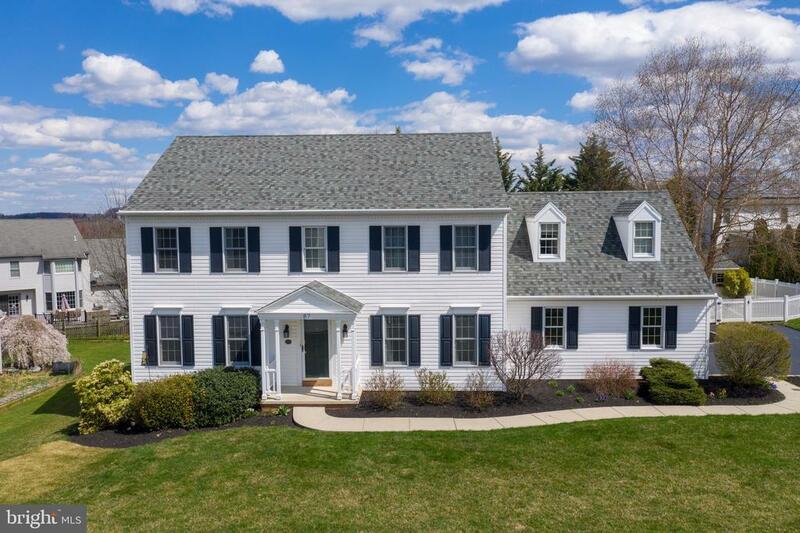 This beautiful 3300+ sq ft Colonial is located in the Red Lion School District School and features many wonderful custom upgrades throughout! Great location, close to golfing, restaurants and only minutes to I-83. This home is ideal for both indoor and outdoor entertaining. Bright and open main floor featuring a gourmet kitchen with quartz counter tops, center island and stainless steel appliances. Spacious family room located directly off of the kitchen features a cozy gas fireplace. Separate formal living room and dining room, great for those special gatherings. At the end of a long day you will enjoy retiring to the relaxing master suite with a large walk in closet and a private bath featuring a double vanity, walk in shower and jetted tub. Three additional nice size bedrooms can also be found on the 2nd floor along with a full bath and laundry room. The finished lower level spotlights the spacious game room with custom stone gas fireplace and custom stone bar. Game day and movie night just got better! Check out the 19 x 13 theater room with surround sound and projector. An additional full bath can also be found on the lower level. Enjoy entertaining on the large rear paver patio offering great views of the fenced in back yard. Covered front porch, nicely landscaped yard and an attached two car side load garage. To truly appreciate all the wonderful amenities this home has to offer, schedule your private tour today.